Telugu Power Star Pawan Kalyan will be taking a call on acting in the Telugu remake of Vijay starrer Kaththi after watching the movie at a special screening. The latest buzz is that Pawan Kalyan is not interested to act in the remake, as he feels the film wouldn’t suit his image. Following this, producer Tagore Madhu, who has bagged the Telugu rights of Kaththi, is expected to release the dubbed version of the movie across Andhra and Telangana regions in November. The exact date is yet to be finalized, but one can be sure that the Telugu version will also rake in huge profits for the makers. 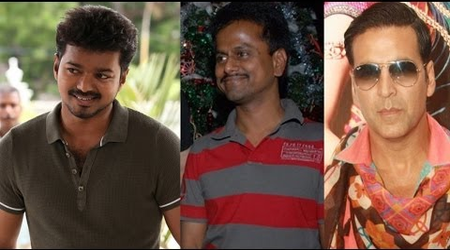 Will Illayathalapathy Vijay have two striking makeovers in ‘Kaththi’ film ?